Can you think of one New Year’s Resolution that you’ve ever stuck to? From losing weight to quitting smoking, each December people around the world vow to stick to their New Year’s resolutions. Every year begins with a lofty list of lifestyle transformations, but studies have shown that a quarter of resolutions are abandoned by the end of the first week of the New Year. If you are fed up of giving up; here is our list of small, achievable changes you can sustain for an entire year or even the rest of your life if you choose to. The key is set realistic resolutions this year is to plan gradual changes rather than a major transformation. Over ambitious resolutions will set you up for failure and ultimately damage the “new you” transformation you hope to achieve. Instead set yourself a SMART goal. Specific – what is your goal? Measurable – how will it be measured? Actionable – what do you have to do? Realistic – is it achievable in the timescale? 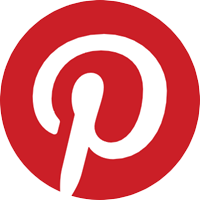 Timed – what is your timescale? Scale back your resolutions to something that is specific, measurable, actionable, realistic and timed. If you want to lose weight do it gradually and don’t opt for a fad diet. Aim for a pound or two a month which translates into a lifestyle change. Aim for at least a stone over the course of the year. Remember losing weight will not transform every aspect of your life. If you want to eat healthier but don’t know where to start talk to professionals like The Fitness Chef who can advise you and deliver healthy meals. For tailored dietary plans visit our site. If you want to get fit, start with walking for at least an hour a day or doing online yoga or exercises before spending a fortune on gym membership. If you can’t allocate an hour a day to walking, yoga, jogging or cycling you are unlikely to be able to commit to an expensive annual gym membership. For tailored fitness plans visit our site. If you plan to give up smoking you should cut down first and visit this NHS Stop Smoking website for help. 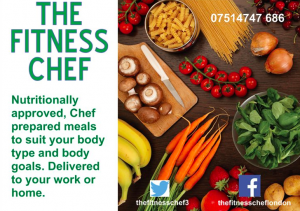 The Fitness Chef work closely with a nutritionist and personal trainer to provide healthy meals to meet your diet and fitness goals and can recommend a meal plan tailored to your needs. We understand the importance of a balanced diet and make healthy eating options available to busy London workers. We produce fresh, nutritionist approved dishes tailored to your requirements which can be delivered to your home, gym or office, or picked up from our kitchen based in the City Point Building, Moorgate. For anyone who needs a more bespoke meal plan we are more than happy to provide a tailor-made service please contact us by Email.